Are the Brits really fatter than other Europeans? Lots of press reports in the last couple of days on how UK women are the fattest in Europe, for example in the Daily Mail and on the BBC News website. I'm still in Berlin, and it was in the papers here too. The tabloid-style Berliner Kurier went with the headline "Man, they are fat, man", while the N24 news service went with "British and Maltese are the fattest Europeans". But is it another dodgy league table? Read more about Are the Brits really fatter than other Europeans? I suppose the Underground platforms will now have to be given complex numbers. Got a short article in the Times today about the UK Border Agency relaxing its checks over the summer. I wish I had included the following interesting information provided by the excellent Home Office Immigration Statistics April-June 2011. In 2010 there were around 100,000,000 admissions to the UK , and around 19,000 non-asylum individuals were refused entry. That's around 1 in 5000 admissions, about 35 plane-loads. So someone should be able to estimate how many people were admitted who would otherwise have been refused entry - it may not be very many. Read more about The risk of queuing? David Cameron has prominently commented on the recent performance tables concerning adoption in local authorities, in particular the proportion of children whose adoption placement occurs within 12 months. But are the local authorities really as different as they have been made out to be? Read more about Another doubtful league table? 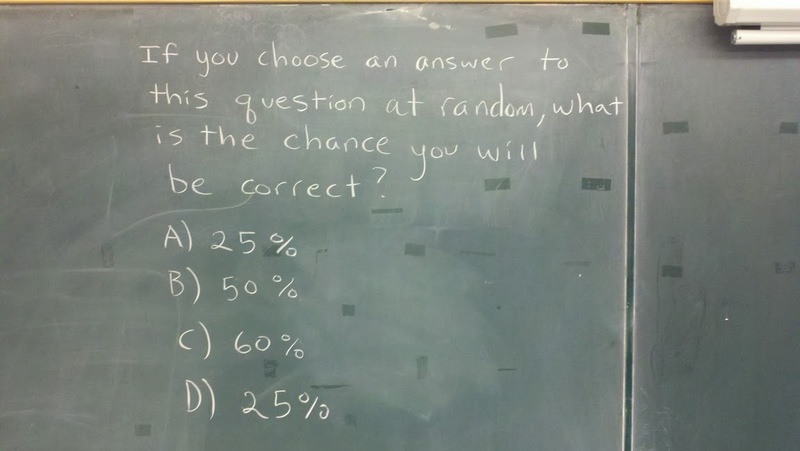 Read more about A probability paradox? After Dave and Angela Dawes won £101 million on the Euromillions lottery, Radio 5 Live asked me to comment on the different ways one could win a decent amount of money for £1. I chose £100,000, which will buy you a shiny new Maserati ( a Ferrari would be about double that). The recording of my interview is here, and here are the details of my calculations, which I hope are roughly correct. Read more about Surgeons create Frankenstein numbers? I've been a bit inactive in here for a few weeks, because I've temporarily moved to Berlin. But it turns out that one can find bad presentations of risk in the German media too, and here's one, pointed out to me by my new colleague Jan Multmeier. The topic is a serious one: suicide rates in German troops serving abroad, and the error involves dividing by the wrong thing when calculating rates. Now that the rogue US satellite has crashed into the Pacific we can all come out from under our beds. The biggest bit of the satellite was about the weight of an adult gorilla, although not as soft, and travelled at 100 mph so it sounds rather ominous, but people only take up one 80,000th of the earth’s surface so it would be more than an unlucky day if anyone had been hit. 40 tons of debris got scattered over mainland USA after the Columbia shuttle disaster and nobody was injured, although NASA afterwards concluded there had been around a 1 in 4 chance of some casualties. The remnants of the Upper Atmosphere Research Satellite (UARS) are due to hit the earth later today and NASA have put up some details of their risk assessment. But this doesn't say where their '1 in 3200 chance of anyone being hit' comes from, and so can we get this figure from a back-of-an-envelope calculation? Read more about Get under the table?